Fence & sky. 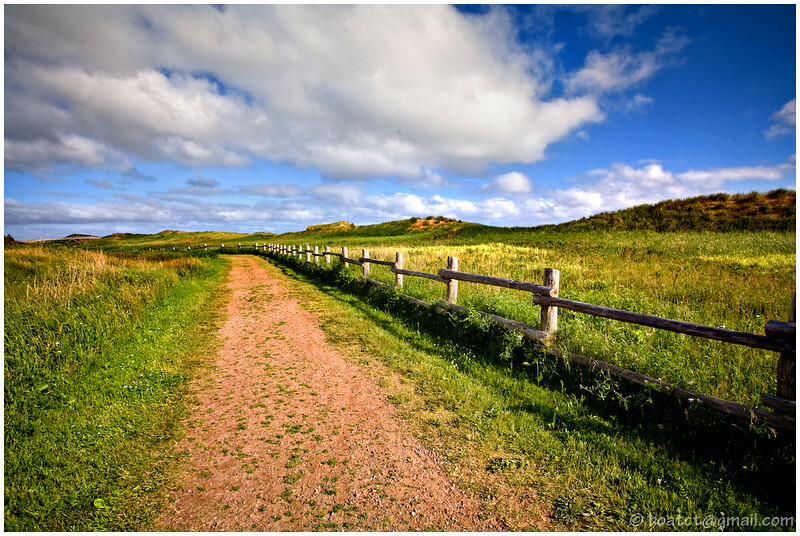 Prince Edward Island, Canada. This is the single most striking place I've ever visited. Makes me want to tie on my walking shoes and stroll forever. Just lovely!